Breeding adult is snow white below, pale gray above, with black cape and nape; mostly orange bill, orange legs and feet. 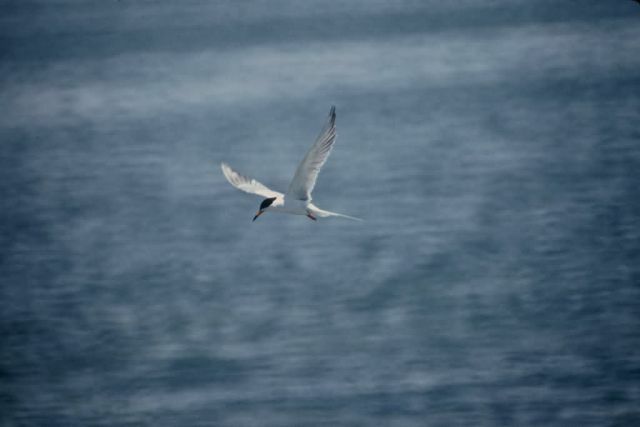 Wingbeat much slower than in Roseate Tern. Legs and bill longer than in Common and Arctic Terns. It feeds on insects but also dives for small fish.